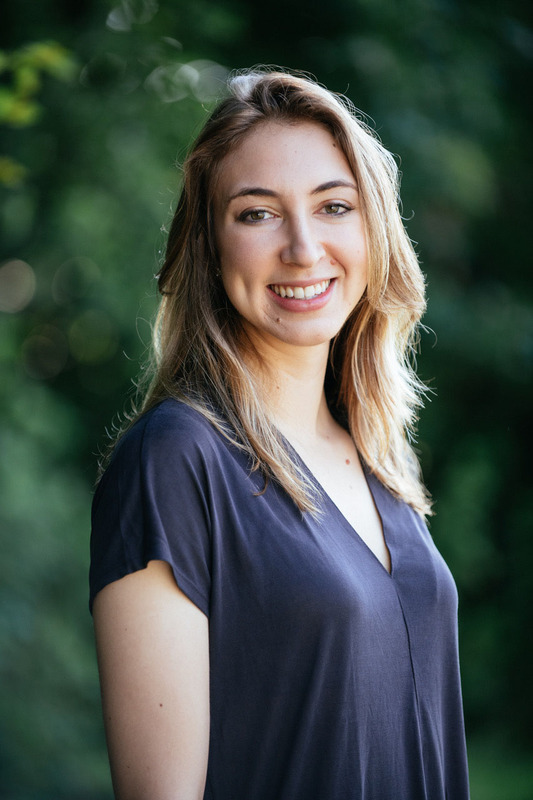 Since Courtney Bell graduated from Duke University in 2017, she has been on a mission to create simple solutions to reduce our environmental impact—all through our eating choices. What started out as a passion for food sustainability has now grown into a produce delivery service, with hundreds of customers here in the Triangle. But things were much different in 2015 when she started her business while still in school. With just 15 customers, one product, and two suppliers, she was delivering product straight from her car. After competing in the Duke Startup Challenge, a hands-on program designed to give students experience in starting a company, she ended up winning the “Shark Tank”–style competition—taking home $50,000. From there, her company, Ungraded Produce, took flight. Ungraded Produce recovers fruits and vegetables that are considered “ugly” or in excess supply. The ugly produce is high in quality but happens to be misshaped, too big or too small, or has some type of imperfection that causes it to not be sellable. “Grocery stores have very strict standards for what they put on their shelves. If they receive orders that have imperfect product, whether it’s due to quality or just appearance, they will reject those orders,” Bell explains. Due to their imperfections, much of the produce remains left in the field. If it does get picked, it is often re-inspected at some point along the supply chain, and eventually gets plucked out before heading to the supermarkets. And where might it go after that? Straight into the dumpster. “We work both with farms that are not picking this produce as well as the distributors who are tossing this produce, [and we] source as much ugly produce as possible. We are sourcing a combination of local and non-local products, but everyone we work with is here in North Carolina,” Bell says. She and her team pack fruit, vegetable, and mixed produce boxes ranging anywhere from five to 15 pounds and deliver it direct to your front door. What’s best of all? Their boxes are priced, on average, 30 percent cheaper than what you would find in your local grocery store. And as many companies opt out of selling smaller produce boxes simply because they’re considered low-margin products, Bell believes it’s important to keep small-box options available for all her customers. “What makes us different from a lot of other companies is that we offer small fruit and vegetable boxes so that young professionals in particular can take advantage of fresh produce without having to worry about paying a lot of money for produce they might not finish,” she explains. Oh, and did we mention seasonal produce and add-on options? That’s right: Many customers can expect to find seasonal fruit and vegetables in their boxes along with breads, nut butters, and spices as possible add-on items. They’re currently experimenting with day-old pastries from local bakeries here in the Triangle. And the good work doesn’t stop there. Ungraded Produce also donates two to five pounds of produce for every pound sold. Just last year they donated 54,000 pounds of produce to local food banks. They’re fighting hunger, keeping produce out of landfills, and putting a little extra change in your pocket, all by rescuing and rehoming quality produce.